Sat, April 7, 2018 12:30 P.M.
Auditorium sold out. In-house simulcast tickets available. 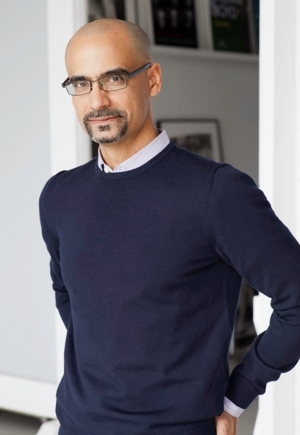 Junot Díaz won the Pulitzer Prize and the National Book Critics Circle Award for The Brief Wondrous Life of Oscar Wao, the “unruly, manic, seductive” (Esquire) multigenerational tale of a cursed Dominican family. He is also the author of the story collections Drown and the National Book Award finalist This Is How You Lose Her. He serves as fiction editor at Boston Review and professor of creative writing at MIT. His many honors include a MacArthur Fellowship, induction into the American Academy of Arts and Letters, and the Dayton Literary Peace Prize. Islandborn—Diaz’s first foray into children’s books—is an ode to the power of our imaginations to connect us to the past.